Owner building, in Victoria, is a process allowing owners to continue to build or renovate their own homes even if they are not registered builders. However, this also transfers the responsibility of ensuring your home is safe and structurally sound from a registered and experienced builder onto yourself. There are some extra considerations relevant to owner-builders, in addition to when a registered builder is engaged to complete the work. -You can only obtain an owner-builder permit once every 5 years. -You are responsible for your own Insurances. -You are responsible for Health & Safety on site. -You will require a white card and to have completed an eLearning module. -You cannot easily sell your house within 6 years. If sold, you are also responsible for rectifying any defects. If you are building a home to live in you can save money, but only if you are knowledgeable in the construction process. Keep in mind that you may save money on trades, but it often comes at the cost of a much slower construction timeline. If you have booked in a trade for your one-off project and their regular builder asks them to do an urgent project that day, you just might find that they prioritise future ongoing work over your project. This can cause further issues if your schedule requires this work to be done before the next trade arrives. There are strict rules in place with the purpose of hindering developers from using this process to cut corners on a house they do not really intend to live in themselves, however it does still happen. If you intend to become an owner-builder for a house which you plan to sell or lease within the next 6 years, we recommend you engage a registered builder. The enjoyment and challenge of building your own home is something many people strive to achieve during their lives. This is really what the owner-builder system is designed for and if you are up for the challenge this is the best reason to become an owner-builder. Remember to seek advice when required and engage licensed trades to do the work which you are not capable of doing (eg, plumbing & electrical). 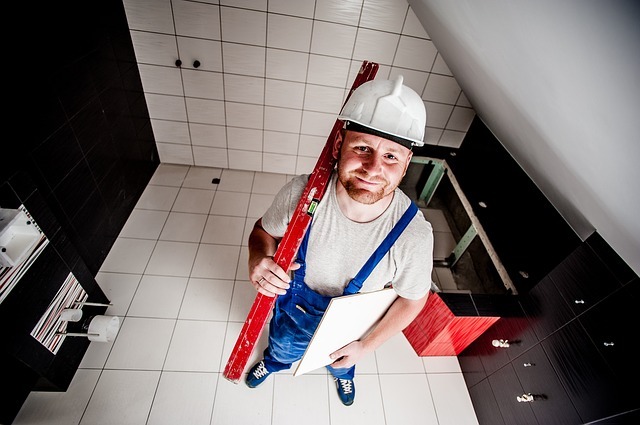 Your building surveyor will help you, but you are responsible for ensuring your work complies with the permits, construction code, planning scheme and relevant standards which you may not yet be familiar with. Remember to allow for some mistakes which need to be rectified and certainly overestimate your timeframe. Sometimes this is an idea worth pursuing. If you are electing to become an owner-builder it is possible to use a builder to complete the majority of the work who is not yet registered. We do not recommend this unless you know and trust their workmanship as you will be responsible for it. This often works best if you are building your own home, but gaining their help and experience. Most of the time this is a very bad idea and something to be careful of, especially for large projects. If a builder requests that you go owner-builder, ask them why. They may be looking to reduce their responsibility to rectify defects, they may be impersonating a registered builder, or there may be a reason why they are not registered. Becoming an Owner-Builder is a decision which you should be making yourself.